Since 2004, our team has handled all kinds of roof repairs in The Woodlands, TX, and the surrounding areas. No repair job is too small, large, simple, or complex for our team, and that's why our clients turn to us for help with their homes and business' roofing. We know our way around metal, asphalt, and flat roofing types, so don't hesitate to request our assistance with your building's roof issue. 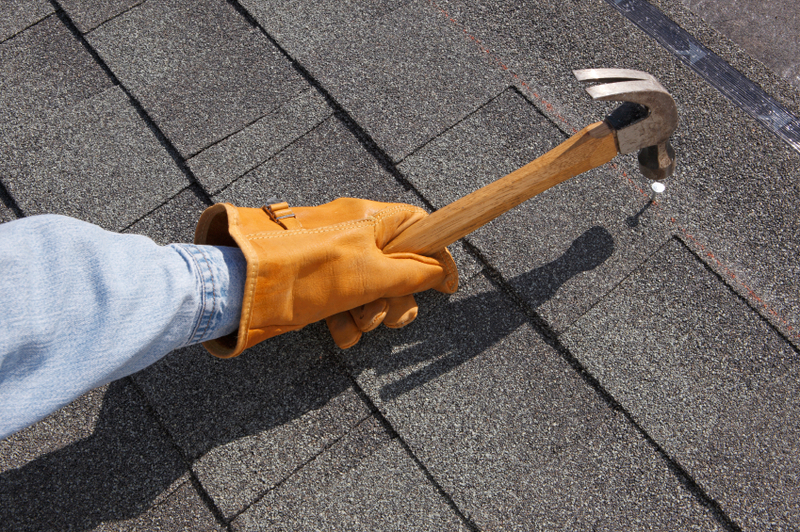 As a homeowner, you may think that a few missing shingles or leaks are small, trivial problems. However, our roof repair service strongly recommends you recruit experts with the certification, experience, and tools needed to work around damage or aging roofs. There may be other serious issues that need attention - issues that aren't visible to the untrained eye. The best way to save on your roof's maintenance and repair needs is by scheduling regular inspections, especially in spring. A roof inspection done by a professional contractor can reveal small issues in your roof; this enables our roof repair company to amend problems before they have the chance to develop into significantly more dangerous and costly problems. To glean more insight into the projected costs of your roof's repair needs, simply request a free estimate. Our roof repair service is more than happy to create a detailed estimate based on your roof's size, the extent of the damage, and other factors. Let us help you make an educated decision that not only keeps your house safe, but fits within your budget, as well. You can trust us to let you know when repair isn't possible - in that situation, we'll let you know that you need a new roof. You'll enjoy our 10-year leak guarantee.